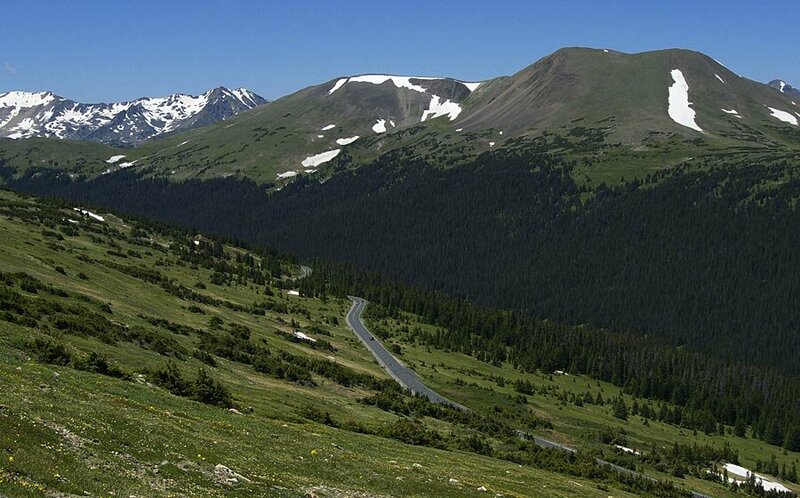 Trail Ridge Road, the highest continuous highway in the United States is the main road through Rocky Mountain National Park. It was built in the early 1930s. Eight miles of the road are above 11,000 feet. Heavy snow forces closure of the road in winter; typically from mid October through mid June. This and the next four photos were all taken very near the paved roads in the park.